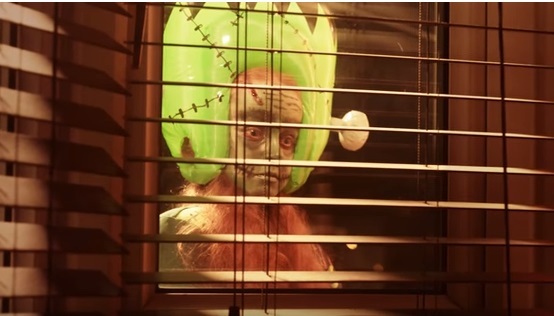 UK supermarket chain Sainsbury’s created a special Facebook ad for Halloween night, getting plenty of views for its fun take on a real trick or treat nightmare. The ad features a young suburban couple who forget to stock up for trick or treaters on Halloween night. Created by agency Gravity Road, the ad tracks the couple’s amusing attempts to hide from the hordes of kids outside in a spoof horror movie style. The ad acknowledges the very British phenomenon that 70% of Brits say they prefer that trick-or-treaters don’t come to their door. The film, born from this insight, showcases the ludicrous antics of an unprepared Halloween couple as they attempt to hide from an advancing group of trick or treaters. Because no-one wants to disappoint the neighbours kids. Gravity Road worked with acclaimed director Tom Geens on the film which was shot natively for mobile in a vertical format and distributed specifically on Facebook.